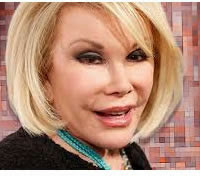 American comedian famous for its black humor, Joan Rivers, confronted breathing problems during surgery, TMZ reported. A call to 911 spoke of a patient in cardiac or respiratory arrest. Rivers was in the middle of throat surgery, specifically on his vocal cords, when he had to be taken to an emergency room. According to TMZ sources, Rivers, 81 years old, was taken to Mount Sinai Hospital in New York. Rivers, a pioneer among comedians on American television, the program encourages current fashion Fashion Police on E! Channel. In recent weeks Rivers has been involved in the promotion of his latest book, "Diary of a Mad Diva". Among his interests was the evening program "Late Night with Seth Meyers."